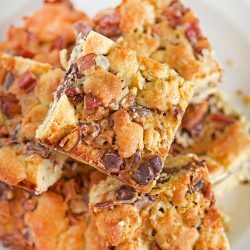 White chocolate covered pretzels, pecans and lots of chocolate chips come together in these Pretzel Pecan Crumb Bars that are perfect served warm with a side of ice cream. Happy April Something Swanky readers! 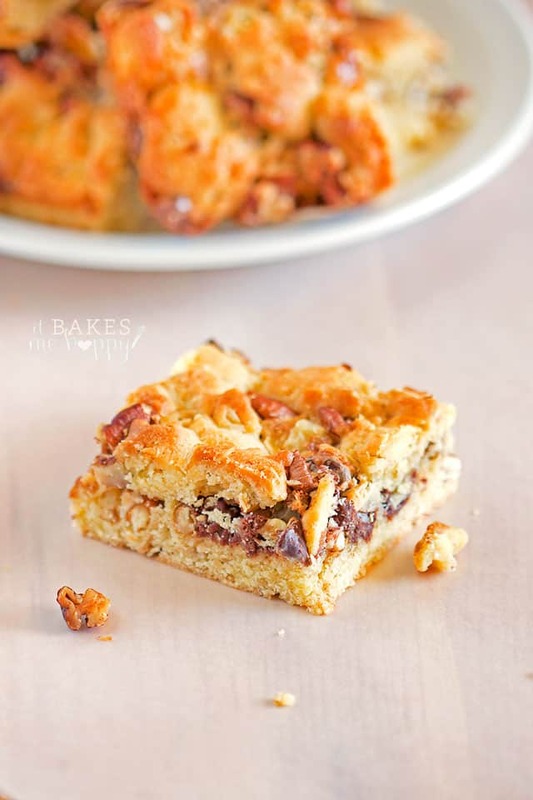 It’s Emily from It Bakes Me Happy here again to share another tasty bar dessert you’re sure to love! 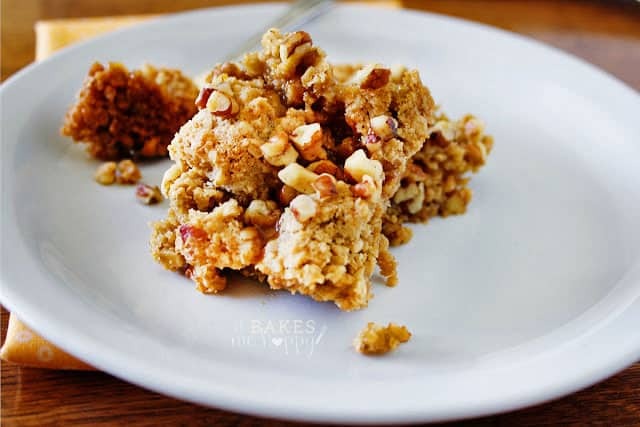 With the temperatures starting to rise that typically means picnics and family get togethers increase and these buttery, Pretzel Pecan Crumb Bars make the perfect ending to any meal. 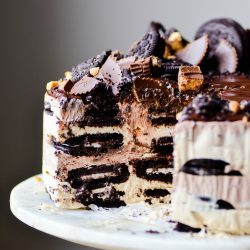 I have days when I just crave something sweet and chocolatey, but I don’t know exactly what I want to bake. 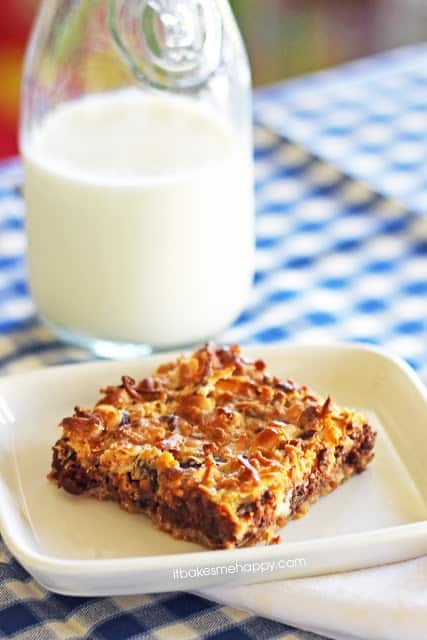 In fact I had one of those days last week, enter these Pretzel Pecan Bars; they’re buttery squares filled with white chocolate pretzel pieces, pecans and chocolate chips. They are pretty fantastic alone but even better when served with a scoop of vanilla ice cream, or make it a real treat and throw a little chocolate fudge on top as well. I really think you’re going to love these bars, they’re easy to make, delicious and a real crowd pleaser; enjoy and happy baking! 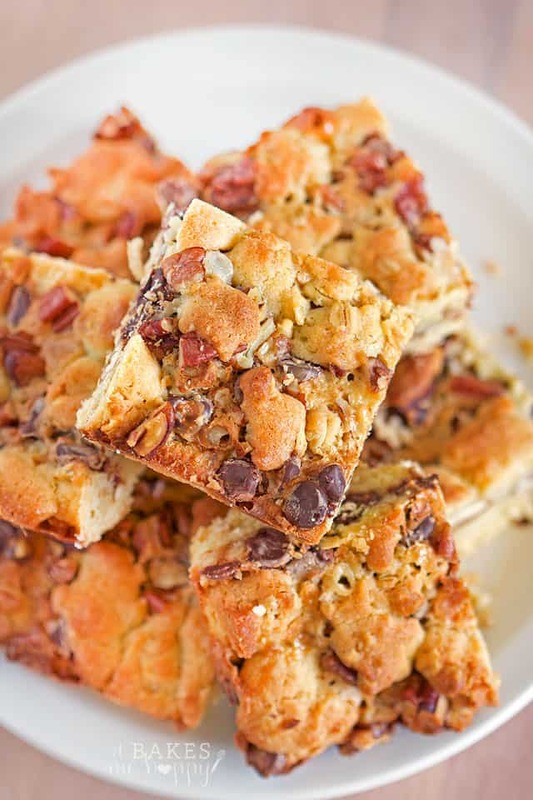 White chocolate covered pretzels, pecans and lots of chocolate chips come together in these Pretzel Pecan Crumb Bars. Oh my word, these bars look wonderful! I love pretzels and pecans and chocolate – these have my name written all over them! Thanks for sharing Emily. Holy crumb bars, Batman. 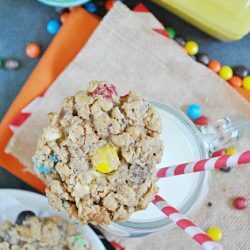 These look insanely delicious! I love the salty pretzel crunch in them, too. Yum! Thanks Hayley, they were insanely addictive with all that goodness packed in! 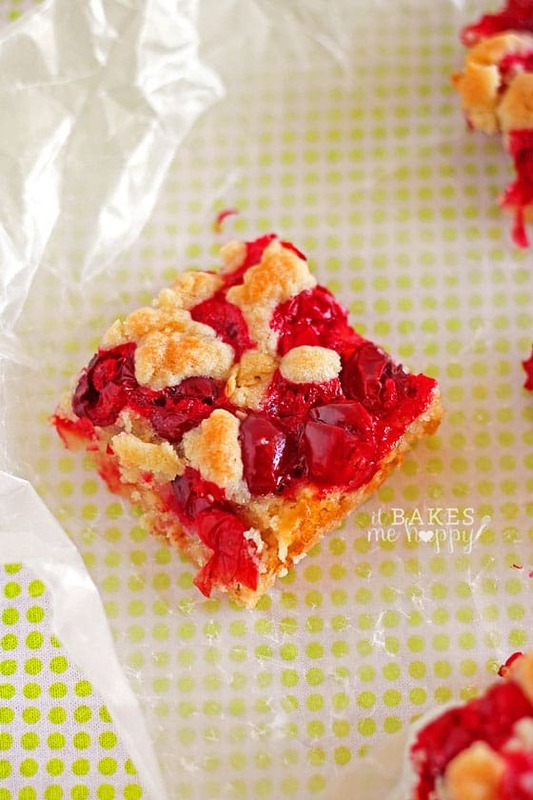 Mmmmm…these bars look DE-LISH!! :) Love all the salty sweet goodness packed into every bite! Looking at these bars made me feel happy. I’m sure I’d feel happier about them when I eat them. thanks Joshua, they definitely will!